Two weeks in a row.. almost unheard of for 2012. A little bit of personal work goes a long way to bringing me back down to earth. I am excited for the way the rest of this year will play out.. a couple of weddings in July.. before a wee break, a quick trip to Bali and rolling out the rest of the year with a schedule which is looking busy. With my Calendar loaded in front of me.. I am currently in the mindset of ‘If I dont do it now, when will I?’. I am going to keep going with this idea until I cant stay awake no longer! So I tripped down again on Sunday to shoot the sunrise. A complete contrast to the week before, the weatherman lied to me this week.. 10% cloud cover? I think he misplaced a zero. 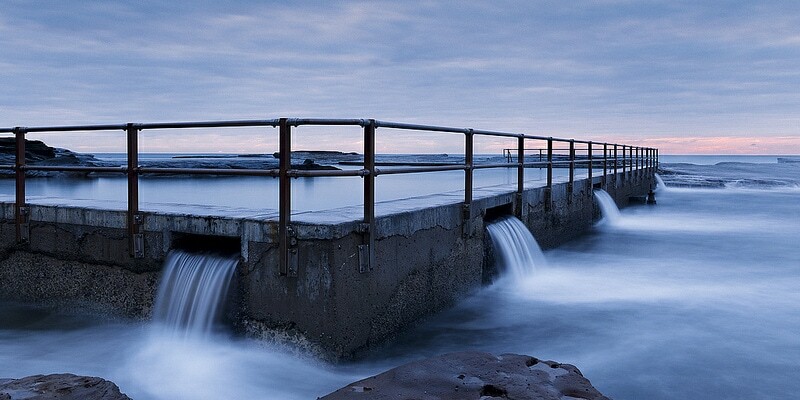 Regardless of this, I have wanted to shoot North Curl Curl for a long time.. I have just always hoped that my first time would yield an epic result (and when I say epic result, I usually imply an epic sunrise sky). It was not to be.. but I still love the result. A 2:1 crop… which is not my usual but I feel this shot should be printed, and printed well. The crop suits a 1m x 0.5m canvas and I am going to re-crop a few other images so that I can create a series of prints of similar size that are available for purchase. If you can picture this, or any one of my other photos printed on your wall then just email info@jackchauvel.com to discuss further.